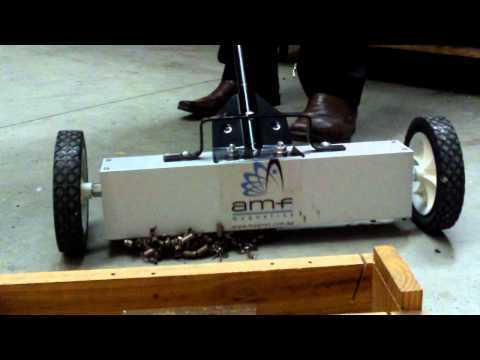 Magnetic sweepers from AMF Magnetics are the ideal solution for quickly and simply removing metal debris including nails, screws and swarf from large areas. 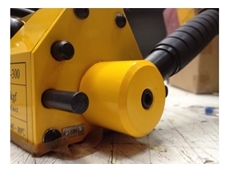 Using powerful industrial magnets and a clever design AMF's Magnetic Sweepers provide reliable results and ultimately a safer working environment. 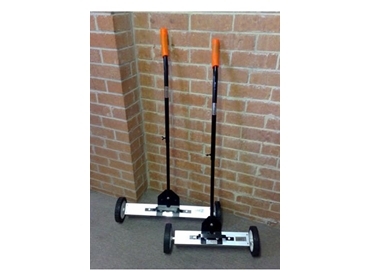 AMF Magnetics' Magnetic Sweepers make light work of removing stray metal material on the ground of your factory, plant, holding yard or car park. 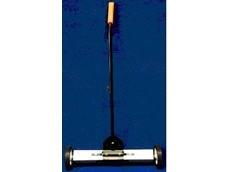 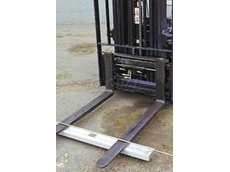 25/03/11 - AMF's Magnetic Sweepers are easy to use and ideal for cleaning large surfaces for metal. 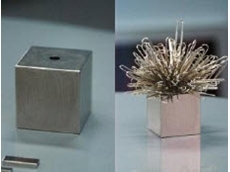 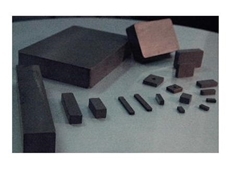 21/01/11 - AMF Magnetics are trusted suppliers of industrial magnets, which today have enormous strength compared to their overall size. 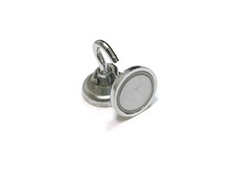 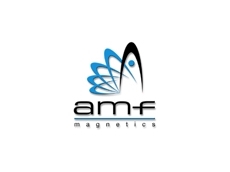 02/07/10 - Newly packaged AMF Magnet range are designed exclusively for the retail market. 30/03/10 - Magnetic Sweepers from AMF Magnetics are an ideal solution for quick, easy and safe cleaning of large areas for nails, swarf and other metal objects.